These are descriptions of being in The Zone and are phrases many people use when describing their greatest performances, often without explaining how they achieved it. In sport, coaches and managers will describe their players (or teams) as being in The Zone, again without explaining how it happened. The Zone can happen any day, in any context or situation, and can be planned for and coached. Many people think The Zone is a matter of luck; it either happens or it doesn’t. Because of this they don’t plan for the Zone and when it happens don’t know how to repeat it. 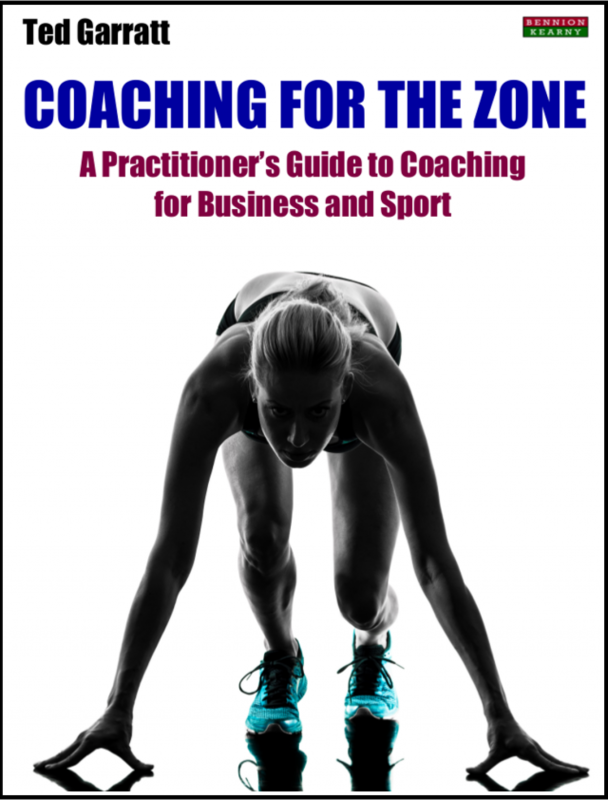 In Coaching For The Zone leading coach practitioner and trainer Ted Garratt guides the reader through the process of training clients to enter The Zone. He demonstrates how to coach for The Zone to equip individuals with the skills and confidence to break through barriers and transform their abilities. Coaches will also gain valuable insights into their own practice. Helping others get into The Zone is a fantastic way for a Coach to learn more about themselves and to dramatically improve their skills. The book is split into two sections. The first section follows an 8-part coaching programme with a coachee in a business environment, but also includes examples and case histories from sport. The second section contains Key Skills and Exercises that the practitioner can use when coaching clients for The Zone. Book Categories: Business, Self-Help, Sport Psychology and Ted Garratt.